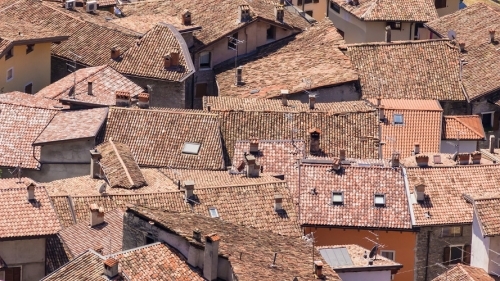 Use System Thinking On Your Next Roofing Project. | 41 Lumber - Serving Iron Mountain and the U.P. There is more to roofing than just nailing down shingles. A roofing system must also adequately ventilate the attic space. Proper roof ventilation prevents shingles from curling and reduces energy bills. Research shows that a simple balanced system of soffit vents and continuous ridge vents is the most efficient combination for maintaining adequate roof ventilation. Talk to us when you have questions. We have the solutions.